This Thursday and Friday I had the pleasure of back to back sold out shows: Megafaun at the Backstage at DC’s Black Cat and Dr. Dog at the 930 Club. Megafaun was more excellent than I could’ve imagined. My first time at the Backstage venue, it was intimate. A perfect setting for a brother band. Brad Cook, Phil Cook, and Joe Westerlund are Megafaun (a fourth was with them, but he seems to remain nameless.) They performed like pros. Phil with a harmonica nestled around his neck, switched between guitar, banjo, and keyboards. Brad led on guitar while Westerlund drummed and sang a number of songs, an unusual trade for a drummer. (This band is proof that it can be done, and exceptionally well. You hear me drummers?) Their three (and four) part harmonies charmed the crowd and reminded me yet again that multiple lead voices is a favorite characteristic of mine. The folk overtones to their psychedelic live performance would have been enjoyed by everyone I know. 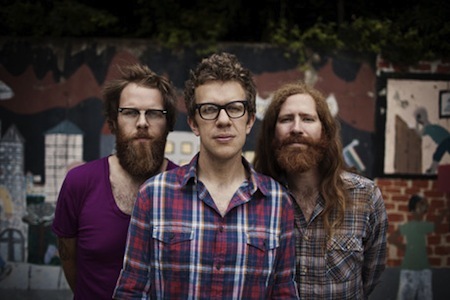 Lesson here, start listening to Megafaun. [Below, track three from their most recent self titled, out on Hometapes.] They have three previous records to keep you interested. This Durham band won’t ever let you down. Their catalogue is large, thank god, due to their versatility (one of which is their two lead vocalists. Do we see a pattern here?) Toby Leaman on bass is a groan rock crooner and Scott McMicken on lead guitar is the charming pop rock vocalist with an unbeatable range. Back up vocals helped them get through their hour and a half set (including encore!) which may or may not have included a lion’s head, astronaut, and poncho that doubled as a blanket. 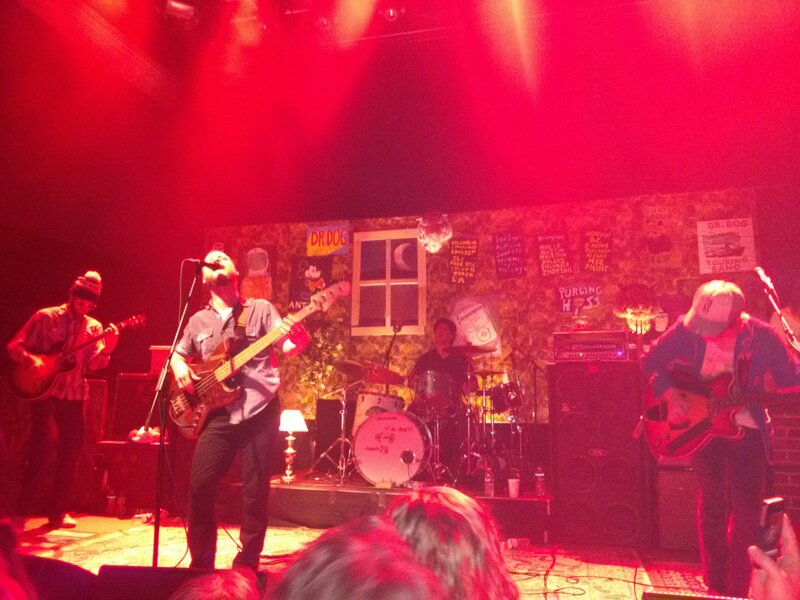 Dr. Dog’s composition can be dissonant, melodic and hooky. They wear many hats (and they wear hats) as songwriters. I never get tired of them. Their sixth record, Be The Void, out on ANTI- this past February opens with twang [see below] and follows through with rock and roll. Rock on.